A key benefit of commission-based roles is the ability to earn in accordance with your results, as opposed to your tenure or seniority. Additionally, commission at Nexus is uncapped, so with hard work and the correct training/guidance, our consultants are realistically able to earn many times their base salary in a given year. This is ideal for ambitious graduates or new-starters looking to buy a car, get on the housing ladder or pay down student debts! It really pays to work hard in recruitment, not just in terms of immediate-term commission, but longer-term career growth and promotion opportunities. In Nexus’ meritocratic environment, people are promoted based on performance rather than tenure, with a clear career path. This can mean that within a relatively short time frame you can go from a trainee recruitment consultant to a Managing Consultant, which one of our team has just done within 2 years! If you are fresh out of university it won’t be expected that you know everything about recruitment. We offer a structured 13-week training programme to get you up & running, with continual professional development thereafter. Throughout your role you will receive 1-to-1 training, help and guidance when you need it. Our training is provided by our experienced Directors, who have over 16 years’ experience between them in the legal market. Such close support is relatively uncommon in the recruitment world and makes Nexus a great place to develop your career. Your perks as a recruitment consultant don’t stop with just great commission! 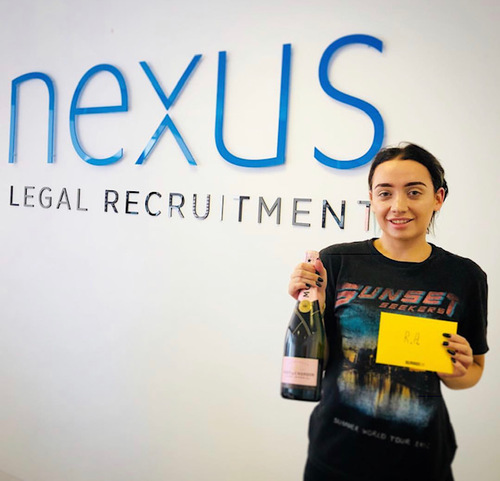 Here at Nexus we have weekly competitions where you have the chance to win prizes such as £50 vouchers for Selfridges and Moet Champagne. We also go on ‘deal meals’ each month when everyone meets their targets. 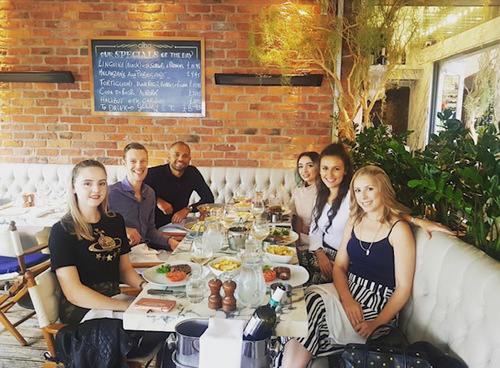 This has involved days out, dining at the best restaurants in Manchester and a cocktail master class! At Nexus we finish work at 3pm everyday and 2pm adhoc. This means that you can spend more time with family and friends as well as having more free time to do hobbies and activities that you may not have been able to do in a normal 9-5 job. 5. International travel, all expenses paid! There is also the opportunity for international travel for consultants to go to desirable locations such as Tokyo, Dubai, Australia and Hong Kong. 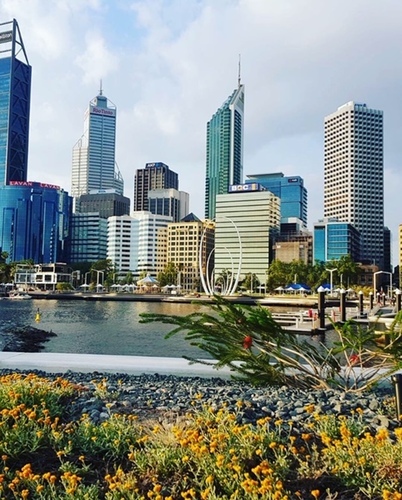 We have had our Managing Consultant going to Perth with one of our Directors in October 2018. In early 2019 we have our Senior Recruitment Consultant visiting clients and candidates in Dubai! Being a recruitment consultant isn’t for everyone and takes resilience and determination. Like many roles there are high and lows, but there aren’t many roles that offer a fantastic base salary and the potential to earn a six-figure bonus every year! 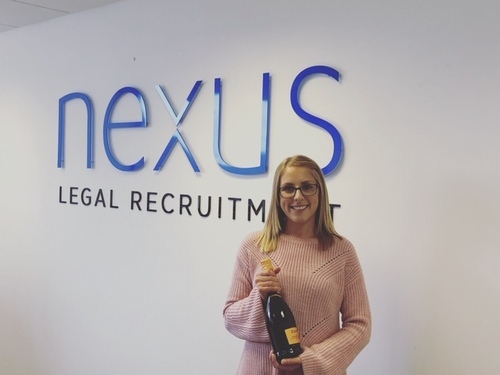 Here at Nexus Legal Recruitment we are always looking for new talent at both ‘trainee’ and experienced ‘consultant’ levels. If you think this would be the perfect job for you then why not look at our careers page by clicking here.